The NMSU Spring Rodeo will take place here in Las Cruces this weekend. There will be many fun events leading up to the rodeo. March 25–29 from 8 a.m. to 10 a.m., NMSU rodeo team members will be on 99.5 Zia Country talking about the rodeo season and the Spring Rodeo. Coach Logan Corbett indicated he is excited about the opportunity to host a rodeo. “[I’m] excited for the opportunity for our college students to produce this college rodeo as well as compete. 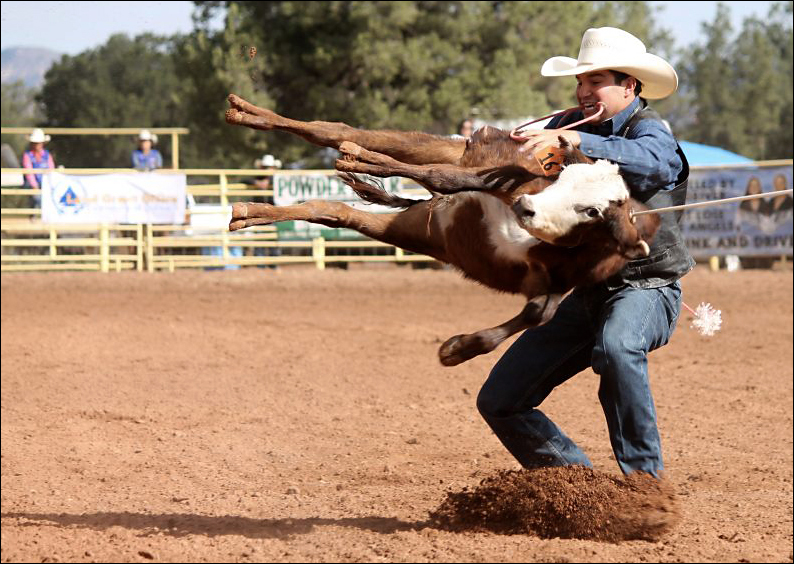 It allows them to see what all goes on behind the scenes to produce a rodeo,” Corbett said. Friday night will officially kick off the rodeo weekend with the Frank Dubois saddle bronc riding and tie-down roping event at the Landmark Mercantile Arena in Mesquite, New Mexico, at 7 p.m. Spectators will get to see great competitors from both the rough stock end of the arena and the timed event end. Saturday, March 30, at noon is the High School and Grand Canyon Region Challenge rodeo event. This event will also take place at the Landmark Mercantile Arena. High school athletes from New Mexico and surrounding states will have a chance to compete against college athletes from the Grand Canyon Region. There will be a Kenny Feidler and Cowboy Killers concert following the event at 6 p.m.
Sunday, March 31, is the NMSU Spring Rodeo. Slack will start at 8 a.m. and the performance will be at 1 p.m. All of the Spring Rodeo events will be held at Landmark Mercantile. Ticket prices start at $10 per day or $25 for the weekend. Children 12 and under and all NMSU students get in free with their student ID cards. “It’ll be interesting to see the Aggies showcase their individual and team talents at the hometown collegiate rodeo. The season has led us to the NMSU rodeo where the Aggies have always been a dominating force in front of their fans and supporters. The work and dedication every single student athlete puts into this rodeo is nothing short of monumental. The pressure is on and the Aggies thrive under pressure,” said assistant coach Obbie Hawkes. NMSU rodeo team members will post reminders, information and photos related to all of the Spring Rodeo events on the team’s Facebook and Instagram pages throughout the week.